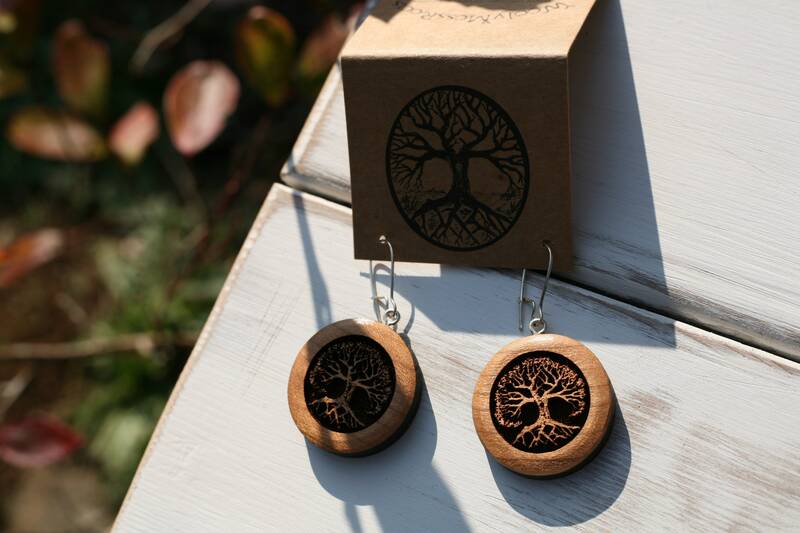 These tree earrings were created by my husband Jeff in cherry wood. Cherry wood has a nice warm hue. 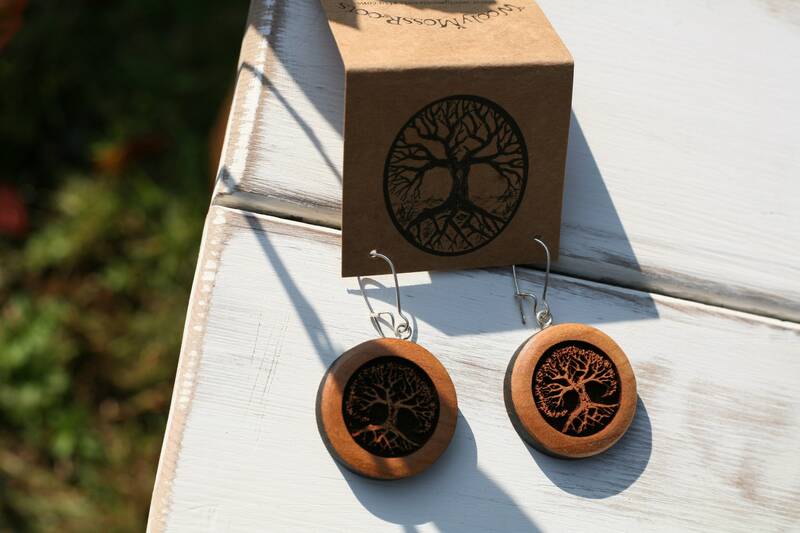 Jeff created this gorgeous tree design, which I adore. (This one with the leaves is my favorite.) 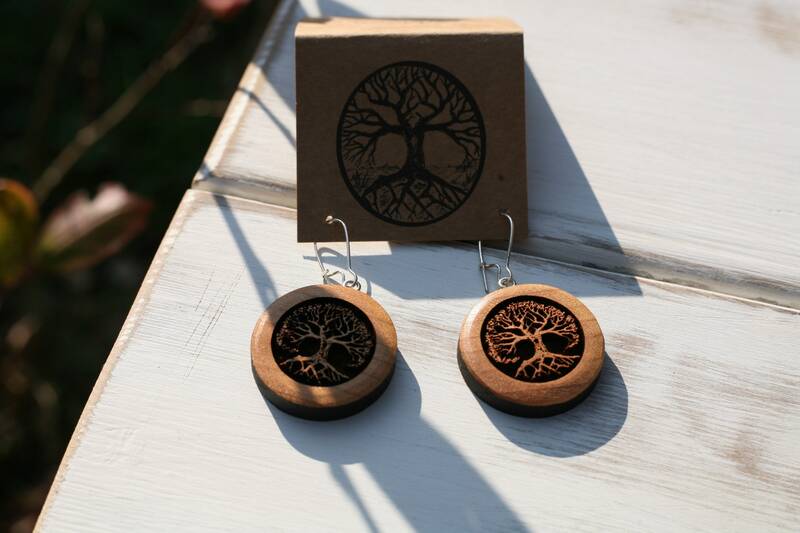 He sanded and polished the wood smooth, and burned his original tree design in each earring. They are burned around the edge, which makes a nice border. 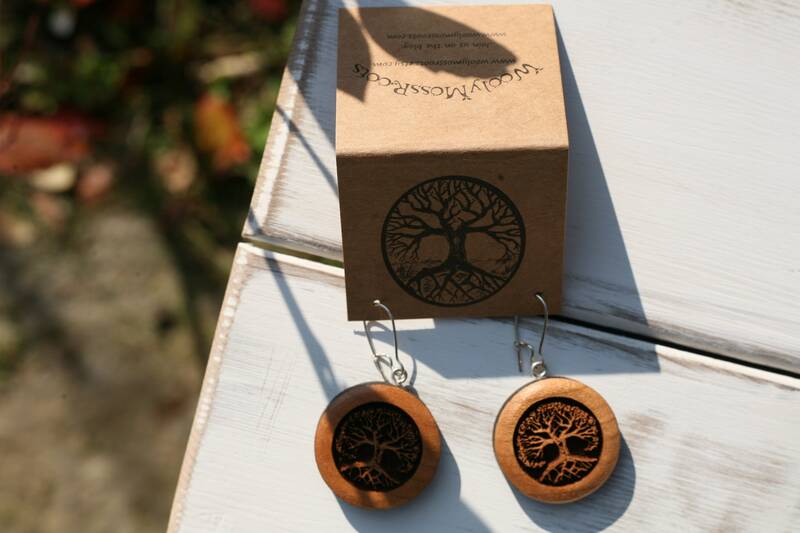 These earrings are nice and lightweight and they come on silver plated ear wires. 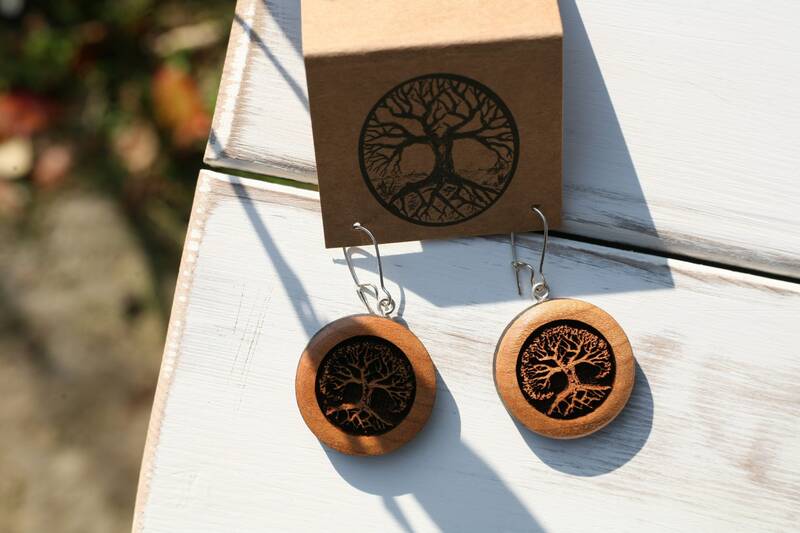 Made for the nature lover, may they bring you joy every time you wear them!